Deputy Attorney General Rod Rosenstein visited Huntsville Tuesday to tour facilities at Redstone Arsenal including the FBI’s Terrorist Explosive Device Analytical Center (TEDAC), the ATF’s National Center for Explosives Training and Research (NCETR) and NASA. The visit was announced by U.S. Attorney Jay E. Town. Rod Rosenstein was appointed Deputy Attorney General by President Donald J. Trump (R). When it was revealed that Attorney General Jeff Sessions had met with the Russian Ambassador twice during the 2016 election campaign, Sessions recused himself from the Russian collusion investigation. Sessions’ decision to recuse himself meant that he could not be a part of the decision on how to investigate the charges that the Trump presidential campaign had colluded with Russian intelligence to discredit Trump’s opponent, former Secretary of State Hillary R. Clinton (D). Rosenstein made the decision to appoint former FBI Director Robert Mueller as special counsel to investigate the collusion allegations against the President and his campaign. 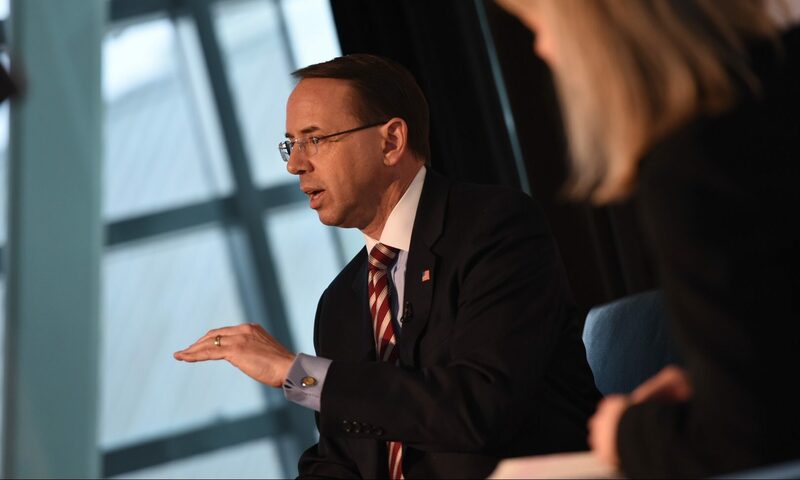 Rosenstein has been criticized by the President and by many conservatives for his decisions in the Mueller investigation, which has continued to this day. While some Democrats have suggested that Mueller has found compelling evidence to impeach the President, Trump himself has said that he has been vindicated by the investigation. Trump recently asked for and accepted Jeff Sessions’s resignation. Chief of Staff John Kelly has also announced that he is leaving the administration. Rosenstein, however, remains as Deputy Attorney General.